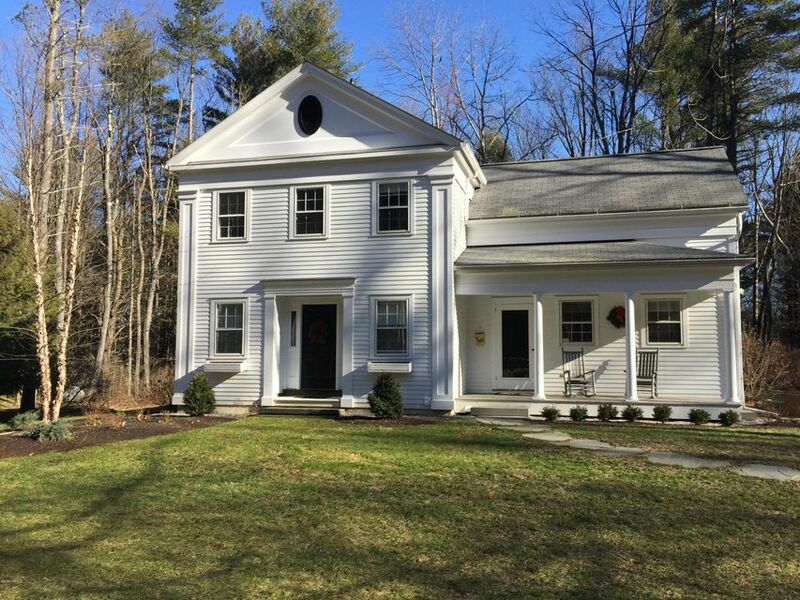 Classic Reproduction Greek Revival built in 1990. Open floor plan, recently renovated eat-in kitchen, warm wood floors and oversized living room with reading nook and fireplace. Gracious front entry with grand stairway and custom moldings throughout. This charming home features 3 Bedrooms, 2.5 baths. Central air conditioning. Level yard with front porch for rocking and back patio for entertaining. Beach rights at Berkshire Lake (1/7th share) for canoeing, fishing & swimming. Conveniently located to the Berkshires and Litchfield Hills. Just over 2 hours to NYC and close to outdoor and cultural attractions in MA, CT & NY. Comprised of 2 lots - .91 ac & .2 ac.